Wild And Game is a non-profit organisation with the main aim of introducing the British public to the great taste of game meat. 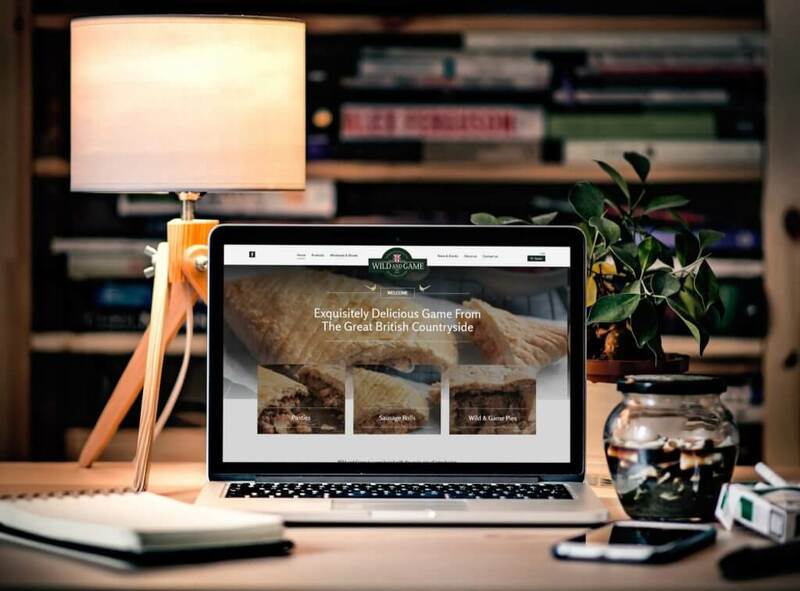 They produce a range of game based products such as: pies, pasties, sausage rolls and sausages. Wild and Game approached us to create a fully mobile friendly website built using the WordPress CMS (content management system) which enabled them full access to update the sites content. They needed a professional yet unique website design to promote their game products to potential and existing customers. The main goal of the website design was to showcase their products and to make the website user friendly and easy for customers to purchase their game products to ensure customer satisfaction. We have also integrated the website orders into their internal business systems, helping the business run more efficiently. We now manage all of Wild and Game ’s digital marketing, from their Facebook business page to Google Adwords campaigns. We love working with Wild and Game and offering our digital marketing services to them to help them continue to advertise their business and grow their online presence. If you think you can benefit from our services, call us today! The main goal of the website design was to showcase their products and to make the website user-friendly and easy for customers to purchase their game products to ensure customer satisfaction. We now manage all of Wild and Game ’s digital marketing, from their Facebook business page to Google Adwords campaigns. I would highly recommend the company to other businesses. We had our eCommerce website built by Copper Bay Creative and were delighted with the outcome. We then decided to explore digital marketing, the team are great and help us get our website seen through Google and social media. We stay in close contact with the team as they regularly update our products and like to know what we have going on with our digital marketing.